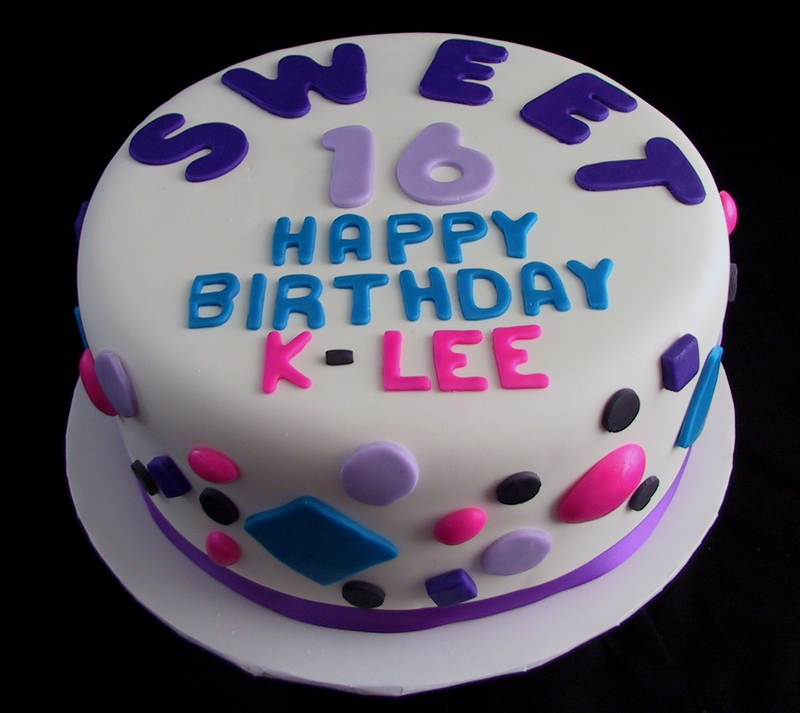 This cute and colorful marshmallow fondant birthday cake was created for a girl’s sweet 16. 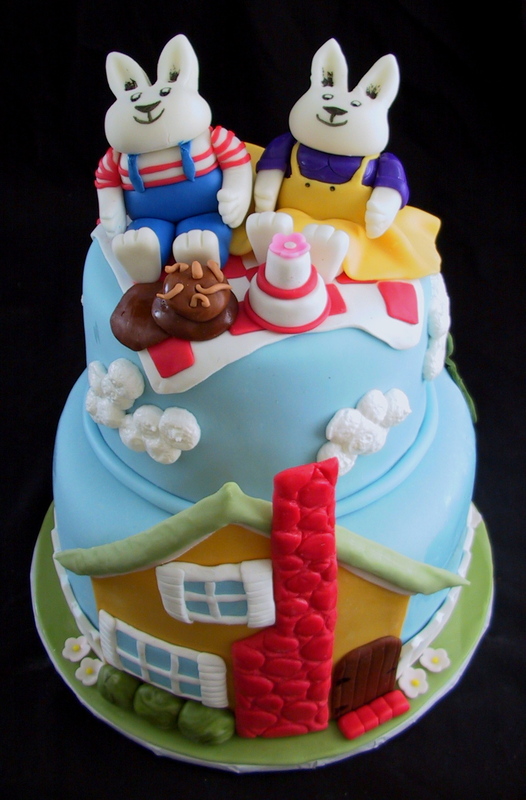 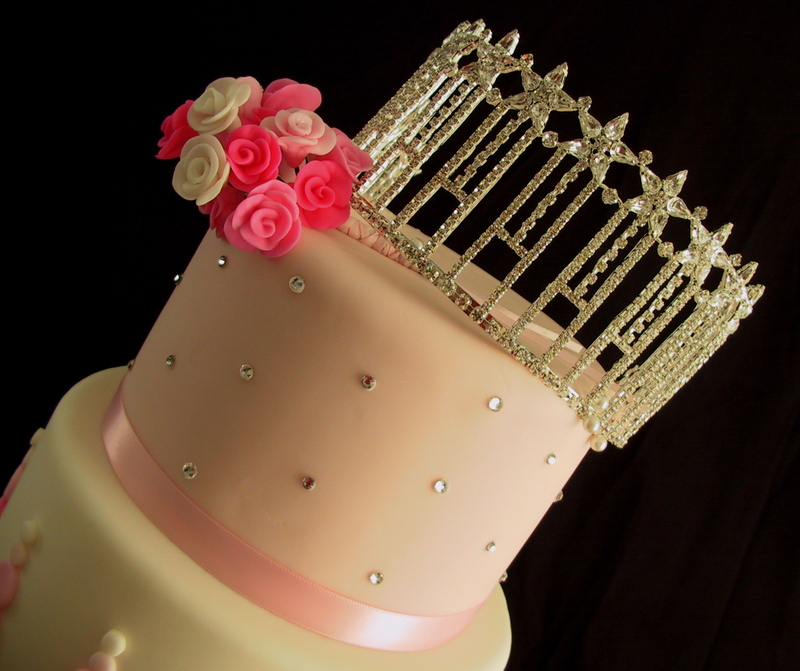 –– This 2 tiered Max and Ruby birthday cake was for a little boy. 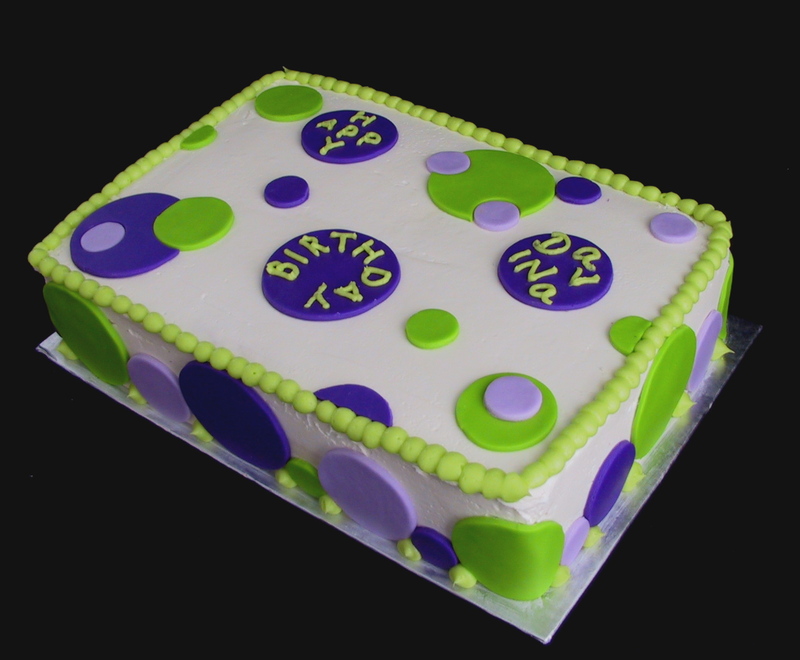 The cakes are two different flavors and they are covered in marshmallow fondant. 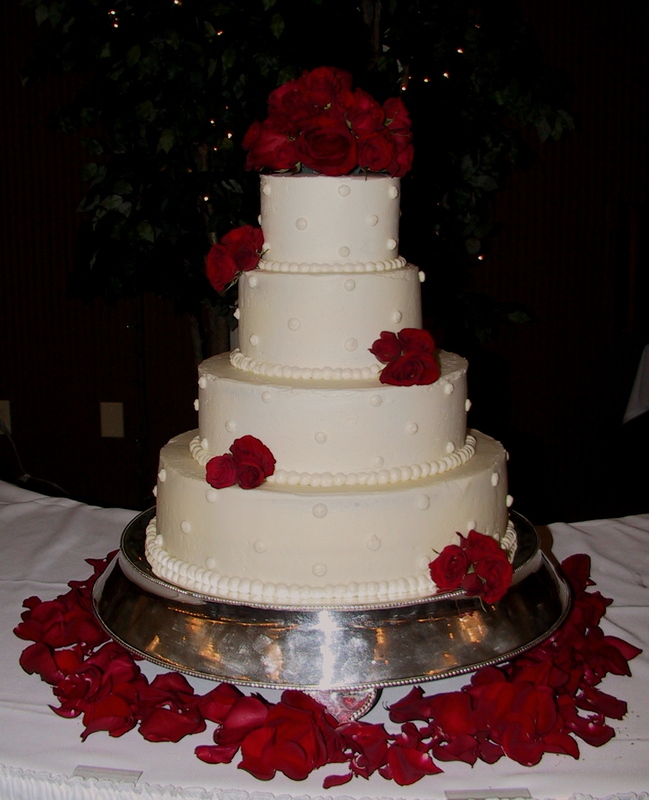 This beautiful wedding cake is 4 tiers covered in a vanilla buttercream and piped with large dots. 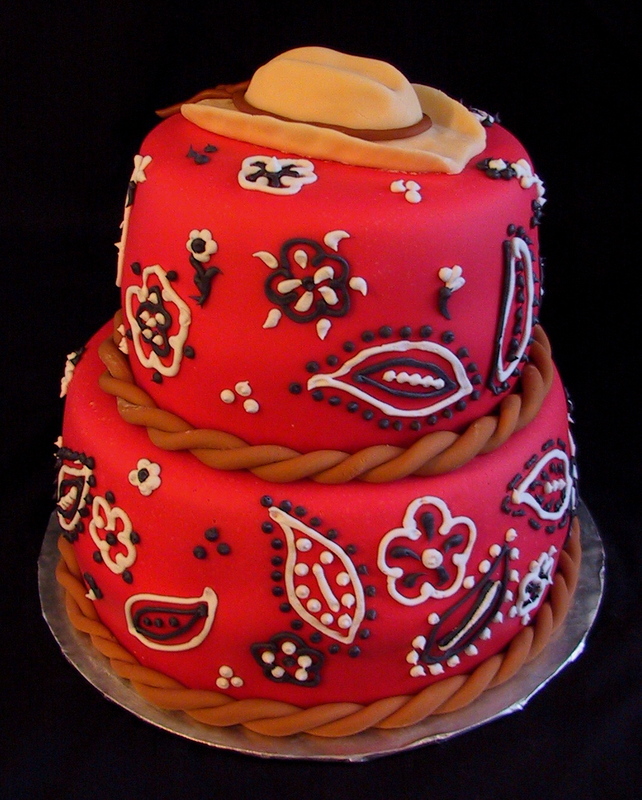 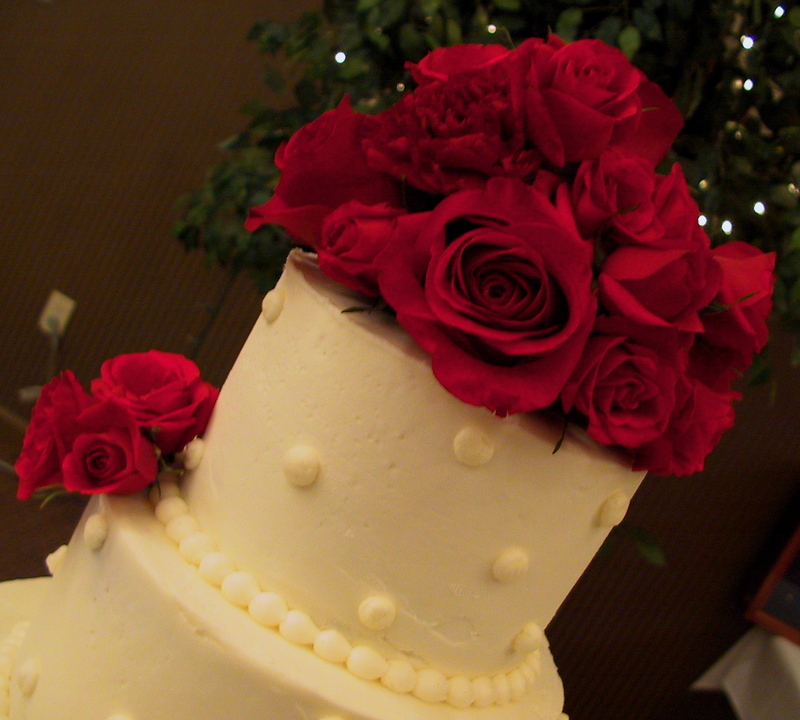 The cake is decorated in fresh red roses. 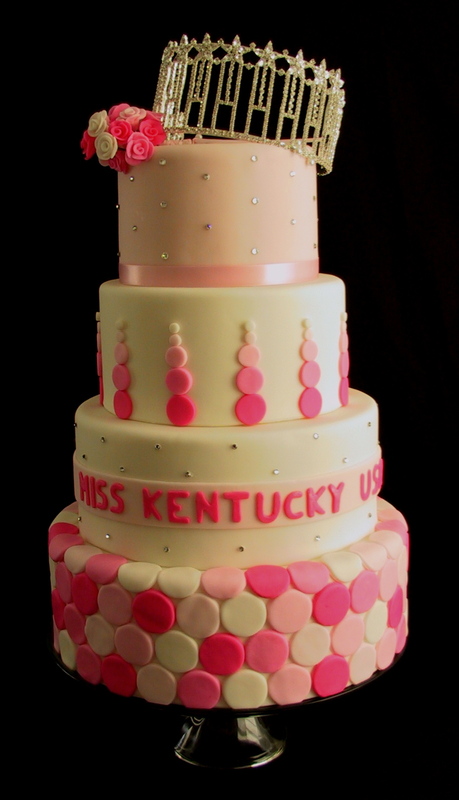 The cake was delivered to Frankfort,– KY.